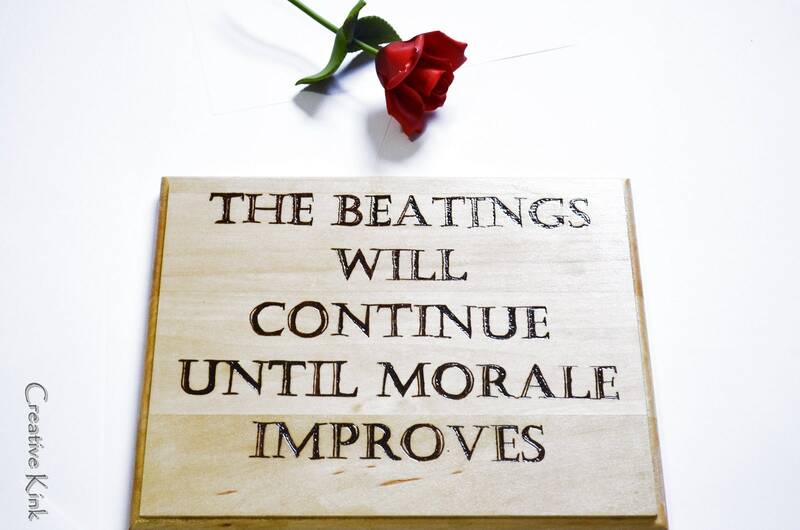 "The Beatings Will Continue Until Moral Improves!" 8" by 12" plaque, hand marked and wood burned by our owner, Cassie Machiavelli, and then sealed by hand by the other owner. Perfect for that dungeon door, right above, to set the tone!